http://www.freemathhelp.com/Lessons/PreAlgebra_Right_Triangles_BB.htm This site contains a video tutorial with notes on right triangles. This page defines and explains squares and square roots. This site explains the Pythagorean Theorem, explains examples, and contains animations to show triangle sides relating to each other. This page contains the definition of the Pythagorean Theorem and an example. This site explains the special right triangles and gives examples. NEW This page explains and provides practice problems for the 30-60-90 and 45-45-90 special right triangles. http://www.teacherschoice.com.au/Maths_Library/Trigonometry/tangent_ratio.htm This page explains the tangent ratio with pictures. http://www.teacherschoice.com.au/Maths_Library/Trigonometry/sine_ratio_1.htm	This page explains the sine ratio with pictures. 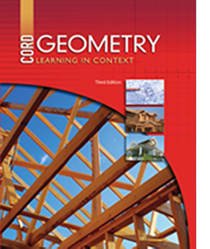 http://www.teacherschoice.com.au/Maths_Library/Trigonometry/cosine_ratio_1.htm This page explains the cosine ratio with pictures. http://www.freemathhelp.com/Lessons/Geometry_Law_of_Sines_BB.htm This site contains a video tutorial with notes on the law of sines. This site explains the laws of sines, including the ambiguous case. http://www.freemathhelp.com/Lessons/Geometry_Law_of_Cosines_BB.htm This site contains a video tutorial with notes on the law of cosines. This page explains the laws of cosines.